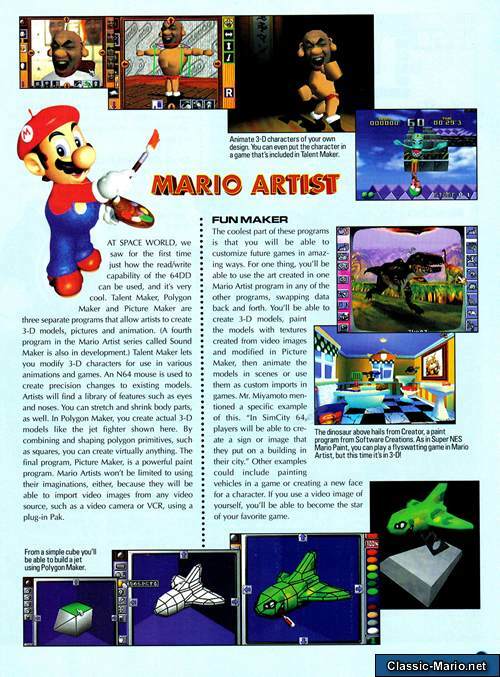 Mario Artist: Paint Studio was released on the Nintendo 64 DD in Japan only as part of the Mario Artist series. 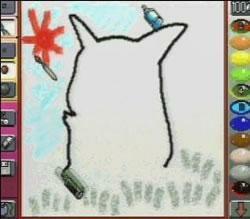 The program is very much an enhanced version of Mario Paint (SNES) and was a launch title for the Nintendo 64 DD. The game as well as having all the features of Mario Paint could also be used in conjunction with the Game Boy Camera and the Nintendo 64 Capture cartridge to import images from video tapes. This game more often than not came with the Nintendo 64 mouse, which would make using the game effectively significantly easier.